1943 — In 1943, in spite of the shortages imposed by World War II, Westye Bakke started tinkering with scrap metal and hand-bending metal coils in his basement, hoping to invent a freestanding freezer. 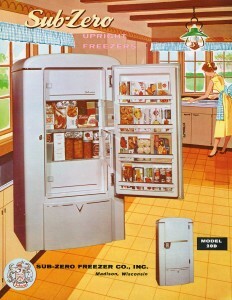 Refrigerators at that time had only ice cube compartments, if any freezer at all, so his invention — successful — represented a major development in food preservation technology. 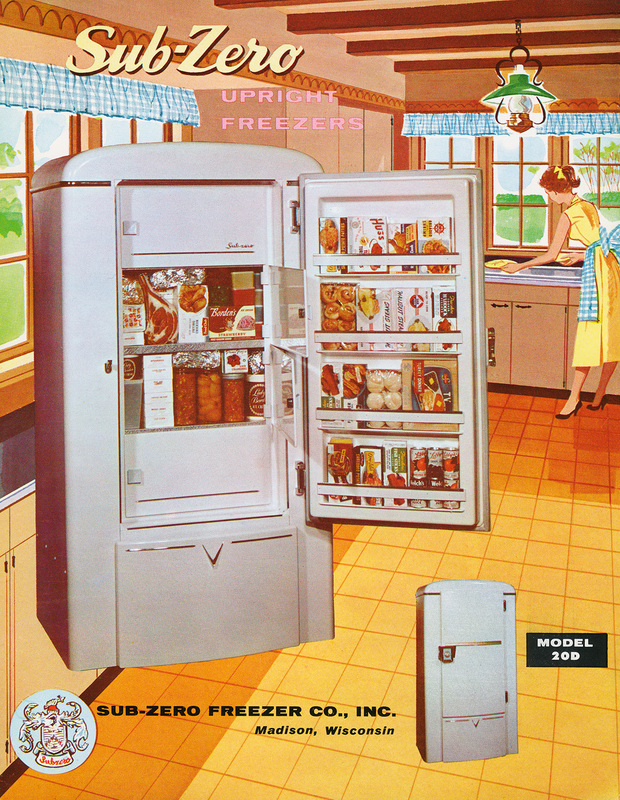 1945 — With the end of the war, Bakke realized his dream and launched the Sub-Zero Freezer Company from his garage, and the timing was right to introduce returning veterans and their young families to the benefits and convenience of deep-freezing foods for extended use. 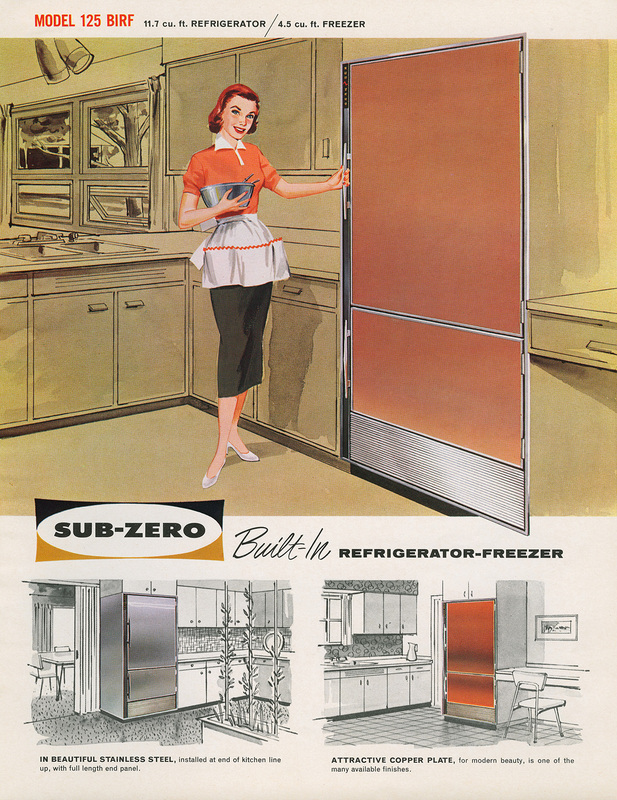 1955 — An innovator since its inception, Sub-Zero was the first manufacturer to introduce dual refrigeration — separate, sealed compartments to store foods at different temperatures within the same appliance. 1960s — To Sub-Zero, design has always been as important as engineering, leading the company to develop built-in and cabinet-flush refrigerators, making the refrigerator a kitchen design element rather than a functional but unattractive freestanding box. 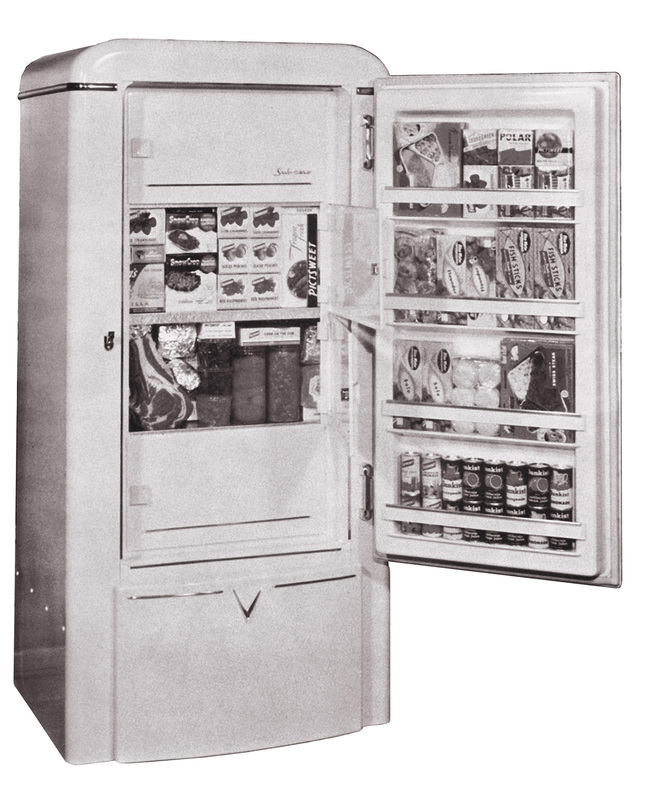 1995 — Building on its pioneering dual refrigeration system, Sub-Zero broke new ground with its 700 Series “integrated refrigeration” units. Integrated refrigeration meant food could be stored in separate refrigerated compartments within a single unit and allowing unit placement to be designed around a homeowner’s lifestyle. 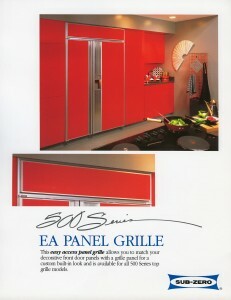 1999 — For the wine connoisseur, Sub-Zero’s 400 Series wine storage units brought wine out of the cellar and into the heart of the home. With separate temperature controls for white and red wines, the units assure perfect temperature for wine preservation, storage, and drinking pleasure. 2005 — Sub-Zero’s PRO 48 professional refrigeration systems gave home chefs the appearance and chilling versatility of a high-end restaurant kitchen. 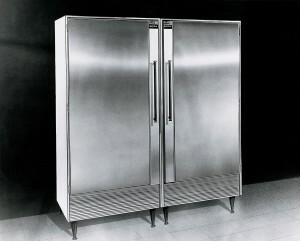 2007 – Box Appliance becomes the second servicer to sign the exclusive Premier Partner contract, designating Box Appliance as the only factory certified Sub-Zero service company in San Diego, Orange County, and Riverside County. Soon after that, Box Appliance expand service to the San Francisco Bay Area including the Monterey Bay region. 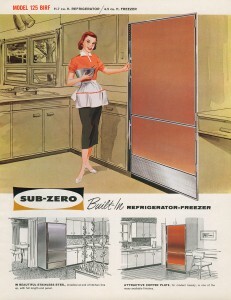 2008 — Raising food preservation to new heights, Sub-Zero’s antimicrobial air purification technology scrubs the refrigerator’s interior air of ethylene gas as well as mold, viruses, and bacteria that cause foods to spoil. 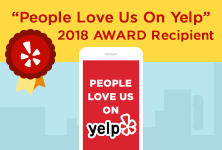 2015 — Sub-Zero refrigerators include even more advanced preservation features and sizes in the integrated refrigeration lineup and coordinates seamlessly with partner products Wolf cooking appliances and the new Wolf Gourmet luxury line of countertop appliances and kitchen tools. Sub-Zero continues to innovate, and more industry-leading developments are in the offing for the reminder of the century’s first quarter. And if history is an indication, Sub-Zero will continue to bring you exciting and practical advances well into its 80th and 90th decades as well.